KPFA Evening News Anchor Anthony Fest: Rwandan exiles in Canada and their Canadian allies, all of whom are well-known critics of Rwandan President Paul Kagame, held a press conference earlier this week in Montreal to call on Canadian authorities to protect them from attacks by Rwandan government agents. The dissidents said they’d been warned by allies within the Rwandan government that so-called diplomats assigned to Rwanda’s embassy in Canada were actually there to intimidate or assassinate dissidents. University of Quebec professor Emmanuel Hakizimana, left, attorney and former ICTR defense counsel John Philpot and Paul Kagame’s former Chief of Staff David Himbara hold a press conference in Montreal. Last October, the BBC, in its documentary “Rwanda’s Untold Story,” reported that 12 prominent Rwandan exiles have been assassinated or disappeared in the past 15 years. Two months after that, one of President Paul Kagame’s former bodyguards disappeared in Nairobi while on his way to France. 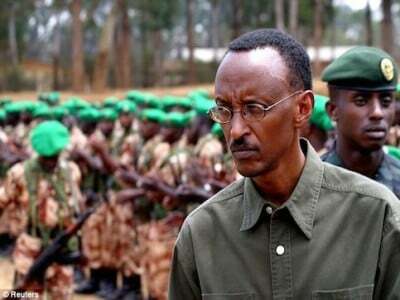 He had planned to testify there that Kagame had ordered the assassination of the Rwandan and Burundian presidents in April 1994. Those assassinations are widely understood to have triggered the ethnic massacres that ensued in Rwanda. KPFA’s Ann Garrison filed this report on the history of assassinations and disappearances that’s causing Rwandan exiles and their Canadian allies to ask the government there to protect them. KPFA/Ann Garrison: At their press conference in Montreal, Canadians and Rwandan exiles said they had to take warnings from insiders in the Rwandan government seriously because of all the precedents, In 2011, BBC Newsnight reported that the London Metropolitan Police had warned Rwandan exiles in London that they were in danger of being assassinated by agents of the Rwandan government. BBC Newsnight: The Metropolitan Police have taken the extraordinary step of warning two British citizens from Rwanda, living in London, that they’re at risk of being assassinated by the Rwandan government. Legal notices were sent to a former Lib Dem candidate Rene Mugenzi and Jonathan Musonera. We’ve spoken with both men. University of Quebec Professor Emmanuel Hakizimana, a member of the Rwandan National Congress, is among those threatened in Montreal. Now it’s understood that a Rwandan suspected of being part of the plot against the exiles was prevented from entering Britain last week. The Embassy here has said the allegations are completely without foundation, but the story raises difficult questions for the British government, who give Rwanda 83 million pounds of aid a year. David Himbara: The message to the Canadian government really is that we can’t take any of these things lightly. Even in the U.S., my friend, Professor Susan Thomson – she’s a Canadian teaching at Colgate University; she writes a lot on Rwanda – she has been warned by the FBI to be careful. KPFA: Himbara also said that danger to Rwandans in exile has become a global problem and that Sweden felt compelled to expel a Rwandan diplomat. Himbara: This is now becoming a worldwide problem. Even Sweden had to expel a Rwandan diplomat for endangering lives of Rwandan Diasporans. KPFA: In October 2012, the BBC reported on the assassination of former Rwandan Intelligence Chief Patrick Karegeya and spoke with Gen. Kayumba Nyamwasa, who has survived four assassination attempts in South Africa. 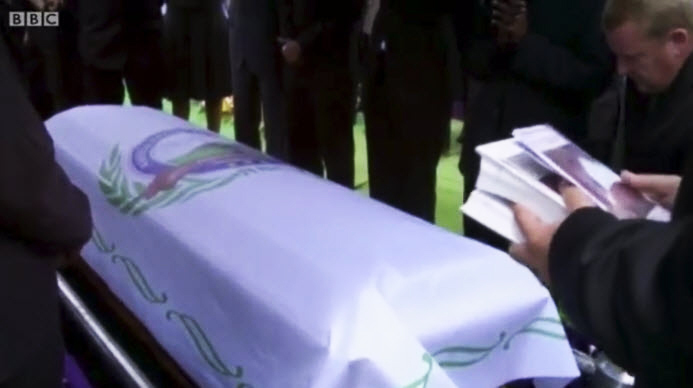 BBC Producer Jane Corbin: Patrick Karegeya was buried with tight security in South Africa. Rwandan diplomats were expelled from the country, suspected of involvement in his killing. BBC: Gen. Nyamwasa has survived four assassination attempts and been badly wounded. Four men, two from Rwanda, have been found guilty in South Africa of trying to murder him. The judge said the attack was politically motivated. A dozen prominent Rwandan exiles have been killed or just disappeared in the last 15 years. Patrick Karegeya was assassinated in the early hours of New Year’s Day 2014 in Johannesburg. He was buried there, amid tight security, his casket draped with the banner of the opposition Rwandan National Congress partyA dozen prominent Rwandan exiles have been killed or just disappeared in the last 15 years. Kayumba: We have a dictator; we have a man who is a serial killer, who enjoys killing his citizens, and he thinks he can keep himself in power by killing and imprisonment. 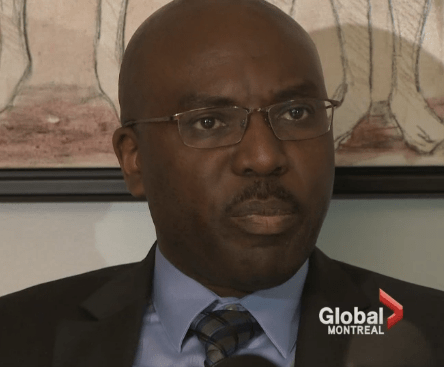 KPFA: John Philpot, a former ICTR defense attorney organized the press conference in Montreal, where he represents two of the Rwandans in danger. He said that a Belgian Canadian who had worked as a journalist and Red Cross staffer in Rwanda had been threatened and even run off the road during an ice storm in Canada in the late 1990s, but that he had remained safe after their group protested to the Canadian government and the Red Cross. Philpot also said he would not be surprised if Kagame has now dared to order the assassination of Canadian or American critics of the Rwandan government. John Philpot: They will attack, or they could attack people like us – white, middle class people. Now obviously, the very striking issue is, “Can a country like Canada or the U.S. allow a foreign commando to function on its territory and threaten or kill Canadians and residents? KPFA: Their position, Philpot said, is that this is unacceptable. In Berkeley, Pacifica, KPFA and AfrobeatRadio, I’m Ann Garrison.